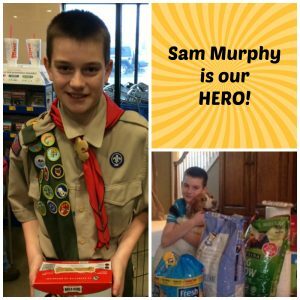 Sam Murphy – what a guy! He had a donation drive to benefit Heart of America Humane Society. We are very appreciative and grateful to Sam and his efforts. The animals in our care are also thankful for everything Sam did for us. 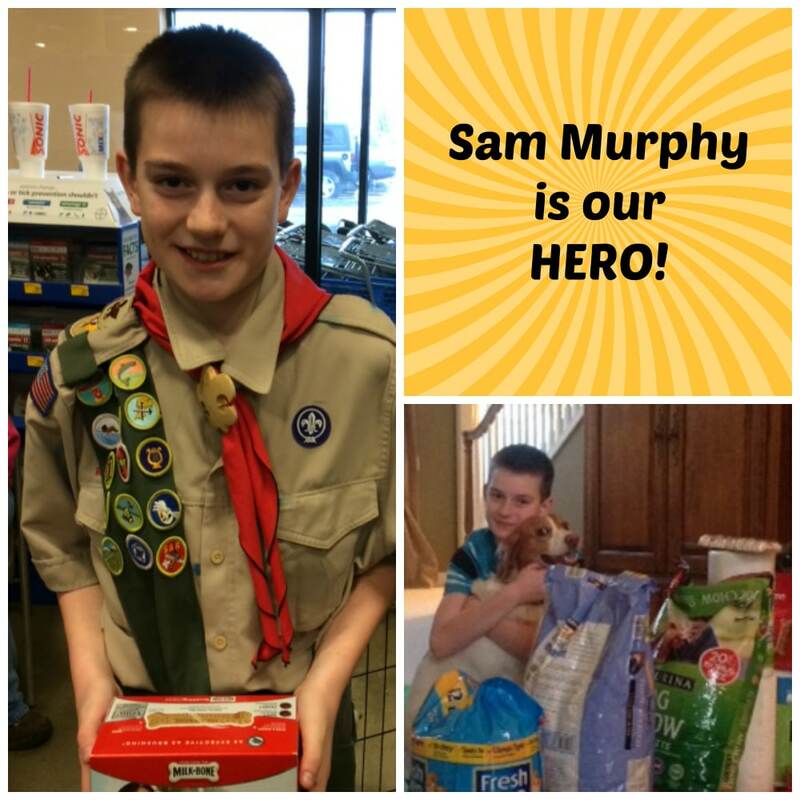 Sam is a First Class Scout in Troop 92 chartered through the United Methodist Church of the Resurrection (COR) in Leawood. Sam is working on his Citizenship in the Community merit badge. One of the requirements is to research a charitable organization in the community and conduct 8 hours of service for the organization. Sam chose Heart of America Humane Society. He decided to spend his 8 hours organizing and conducting a drive to collect some of the items mentioned on our webpage. He solicited donations from the COR Boy Scout Troop and Cub Scout Pack as well as putting fliers around our neighborhood. Sam was delighted by the generous outpouring of support for his drive. THANK YOU, SAM!